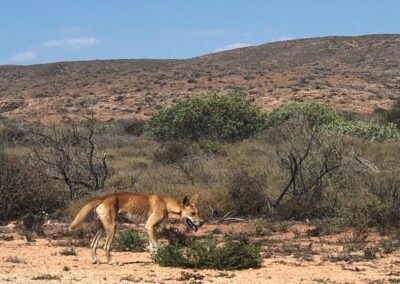 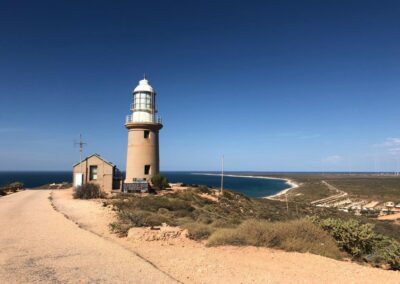 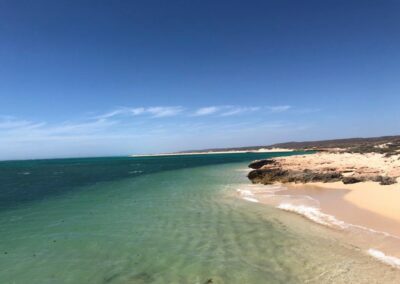 Exmouth, Western Australia: The final stop on the adventure that my good friend Dan Vogel and I shared this winter. 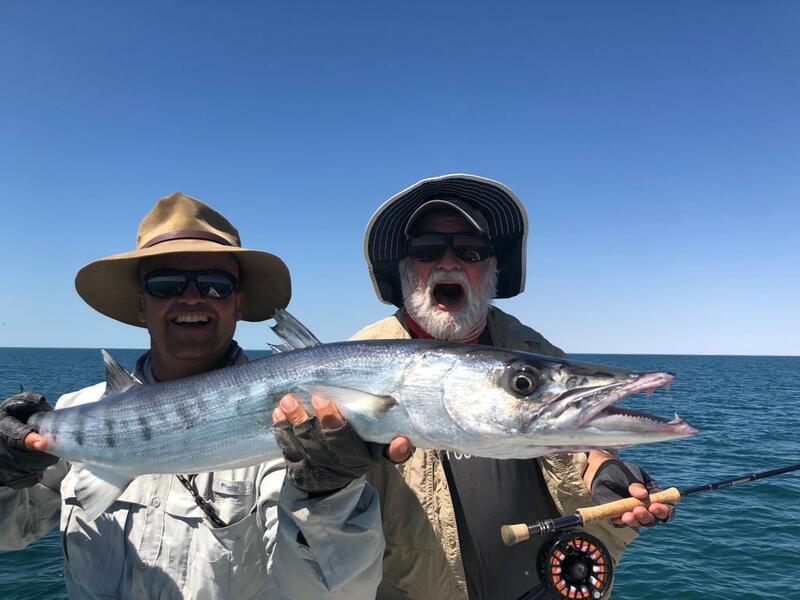 The two incredible weeks fishing with Jono Shales of Exmouth Fly Fishing, not only taught us a lot about saltwater fly fishing, but also left Dan and I wanting more. 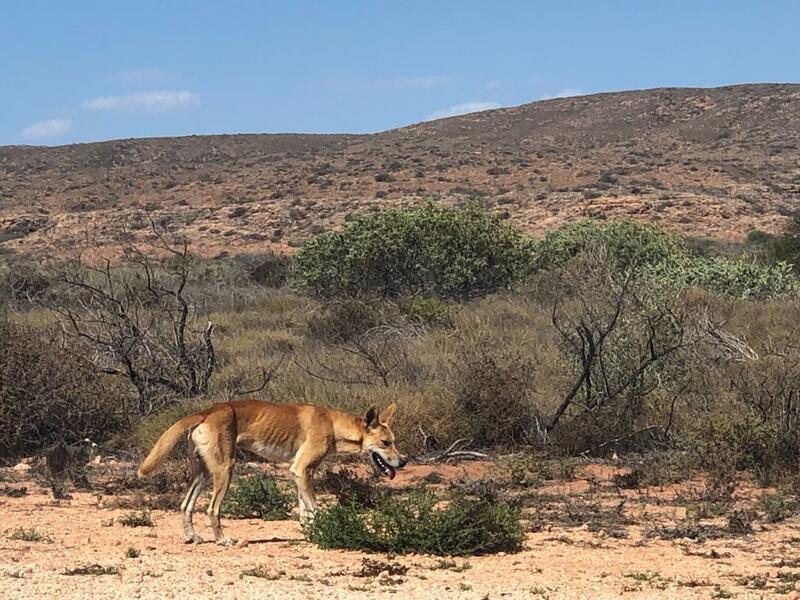 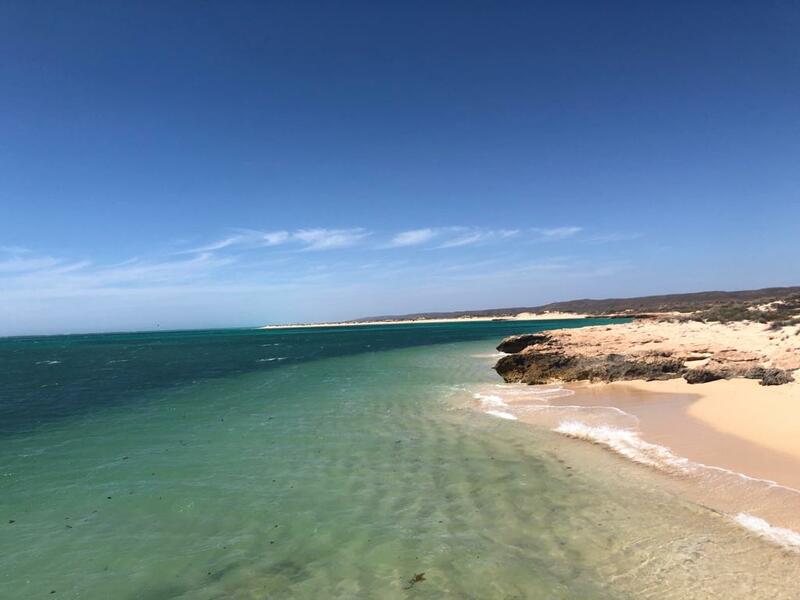 We were super excited to make it to Western Australia because of the stories that Matt shared with us about his time there. 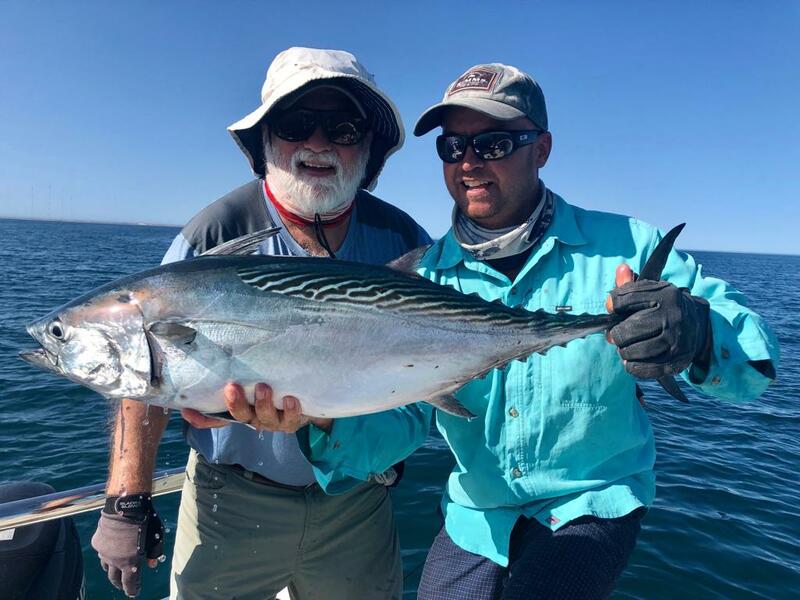 I told Jono early in our trip that Dan and I both had limited saltwater experience and that my own personal goal for the trip was to become a more complete angler. 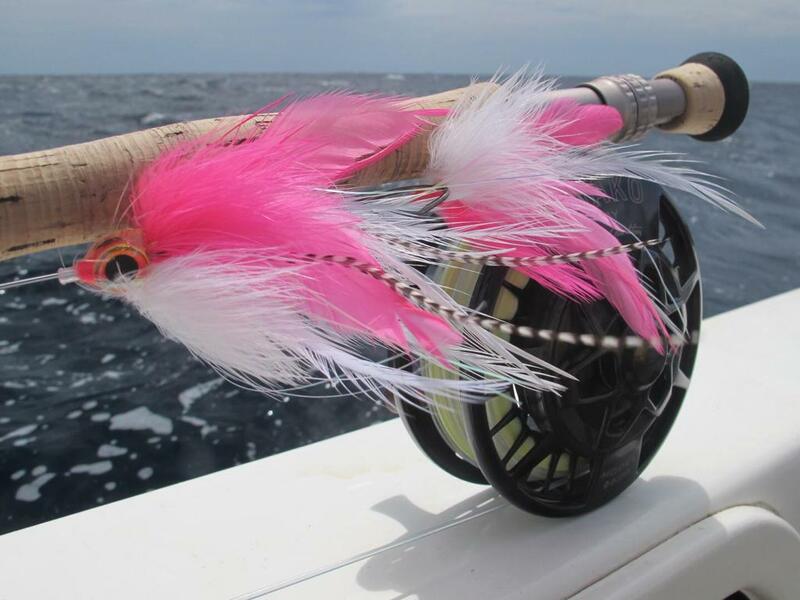 Like any type of fishing there are subtleties that one can only learn by spending lots of time on the water. 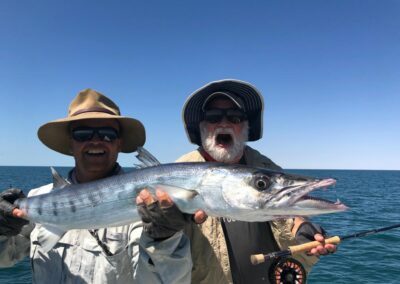 It also helps to fish with people like Jono who have dedicated thousands of hours to learning these little difference makers. 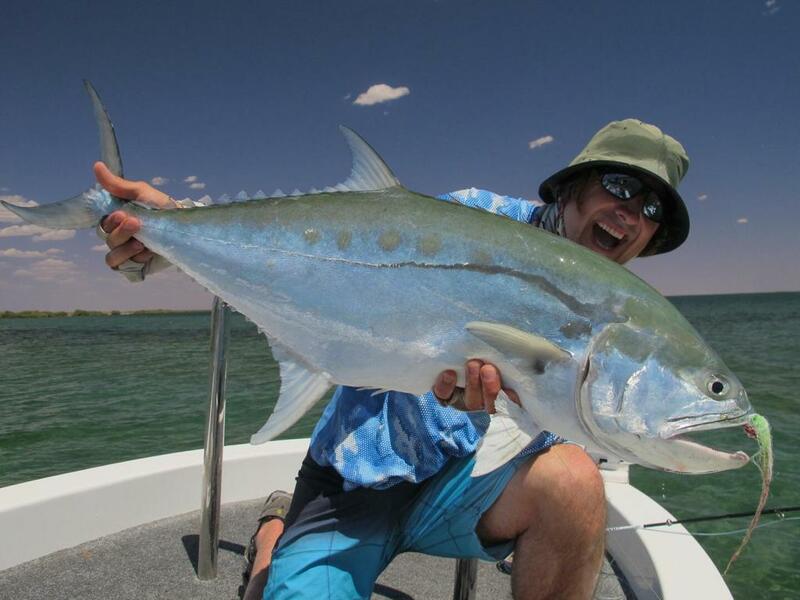 The fishery surrounding Exmouth is so diverse that it is nearly indescribable. 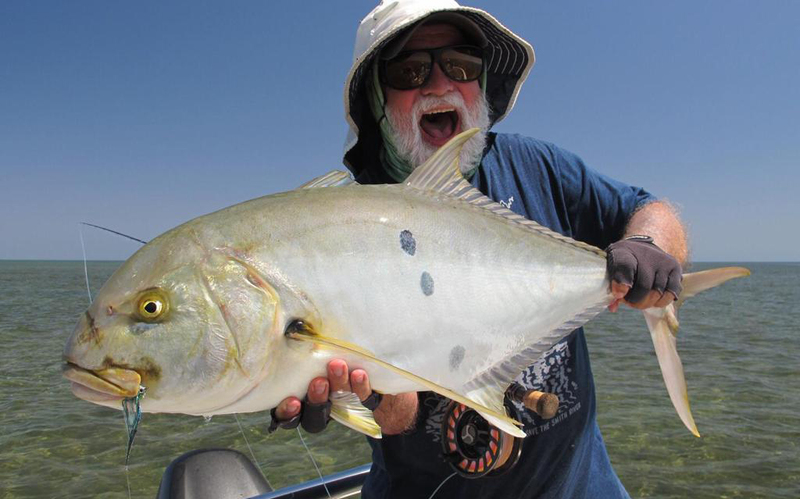 One day we would fish the flats and target permit, golden trevally, GTs, and bonefish. 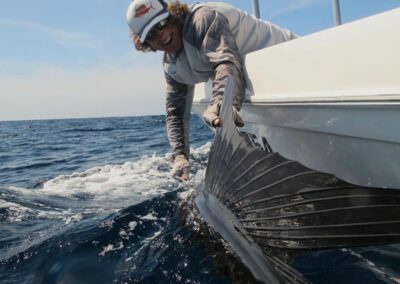 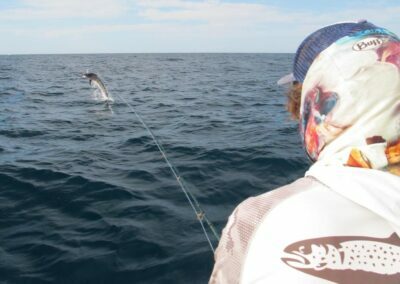 The next day we would be offshore on the Indian Ocean chasing marlin and sailfish. 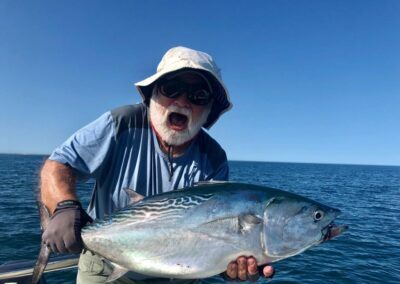 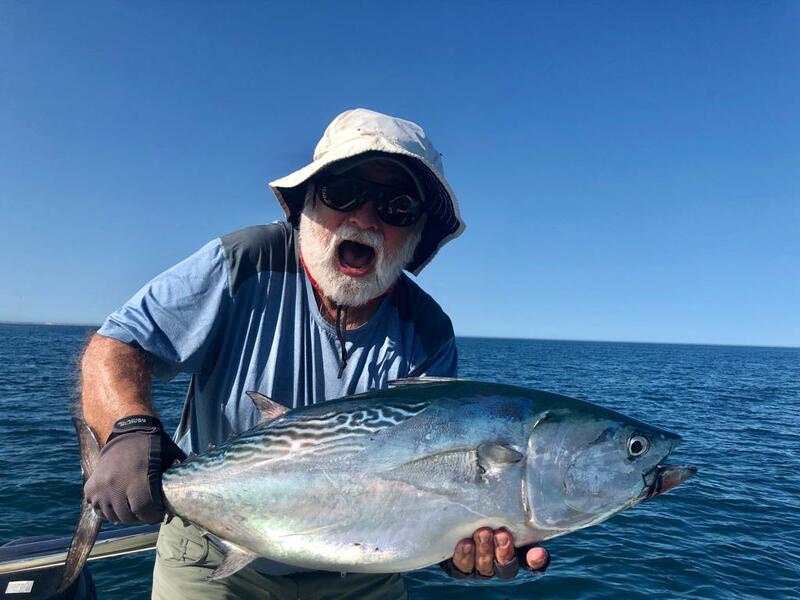 Occasionally, on our way to a flat or the blue water we would see birds busting bait fish and we would race over and cast into slashing schools of tuna, mackerel, and trevally. 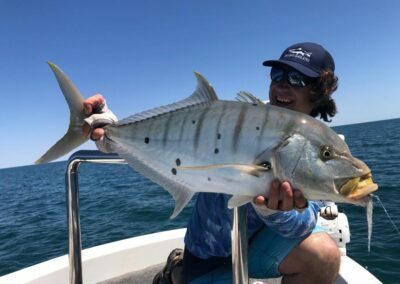 The diversity in Exmouth is very unique and allows us anglers to play so many different and interesting games! 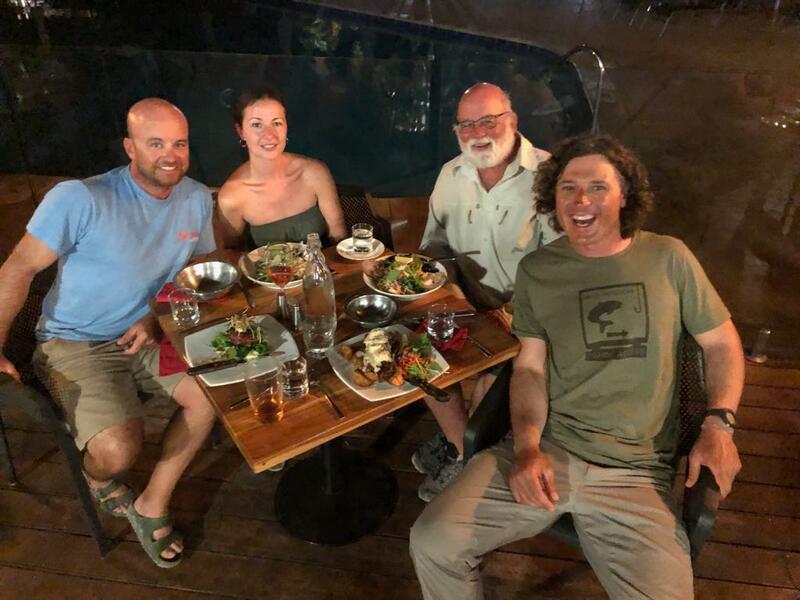 Even after two weeks, Dan and I felt like we were barely scratching the surface of the fishery. 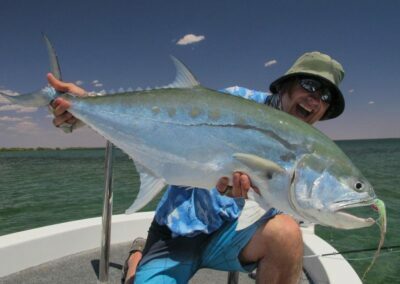 Like any top-notch guide, Jono is a great teacher and a very passionate angler. 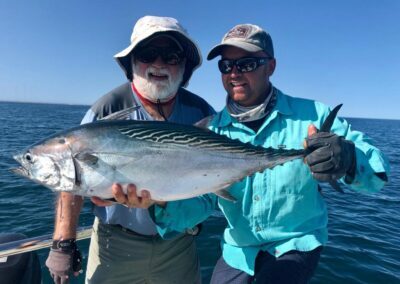 His life is built around fishing and sharing his experiences with others, and he is an absolutely gracious host and a true ambassador for Australian fly fishing. 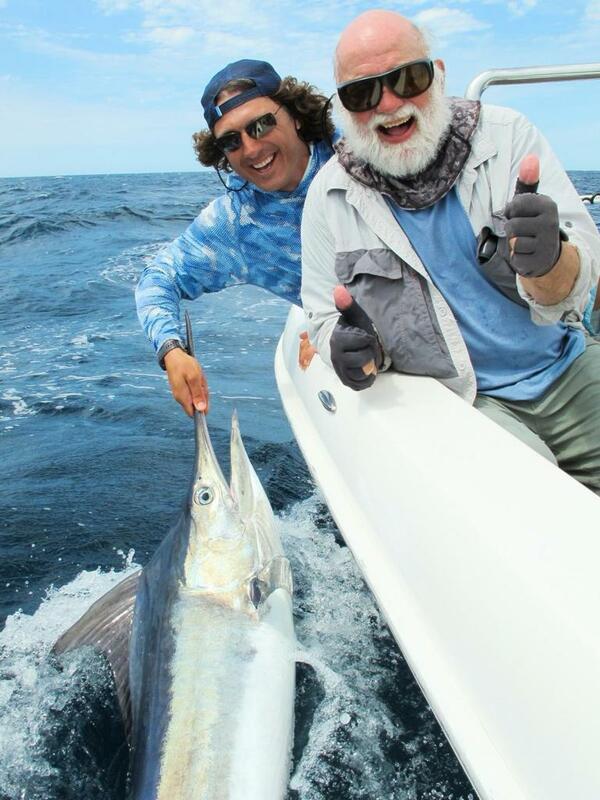 Dan and I learned more about saltwater fly fishing than we ever expected thanks to Jono. 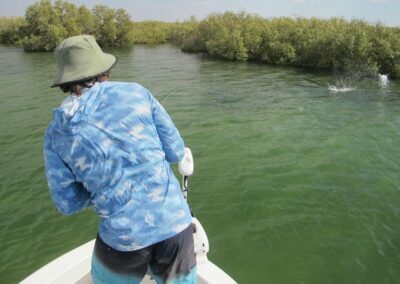 My own expectations were exceeded as I left with a better understanding of tides and how they influence fish behavior, different types of retrieves, strong saltwater knots, how to make quick, long, accurate casts, and most importantly, how to keep calm during the chaos. I highly recommend Jono as a guide and Exmouth as a fishery. 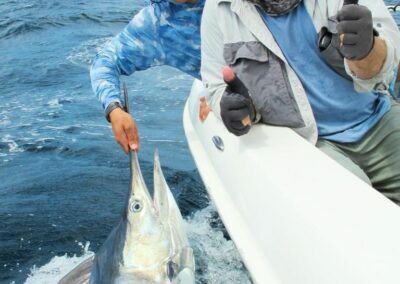 I can’t wait to make it back! 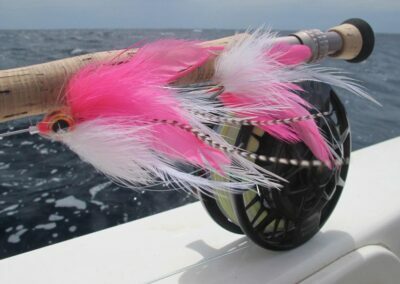 One of Matt's marlin flies. 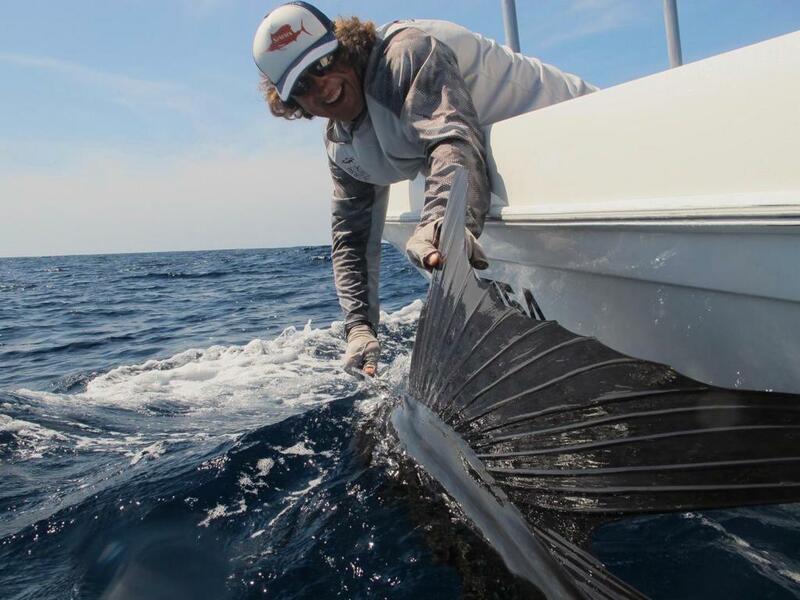 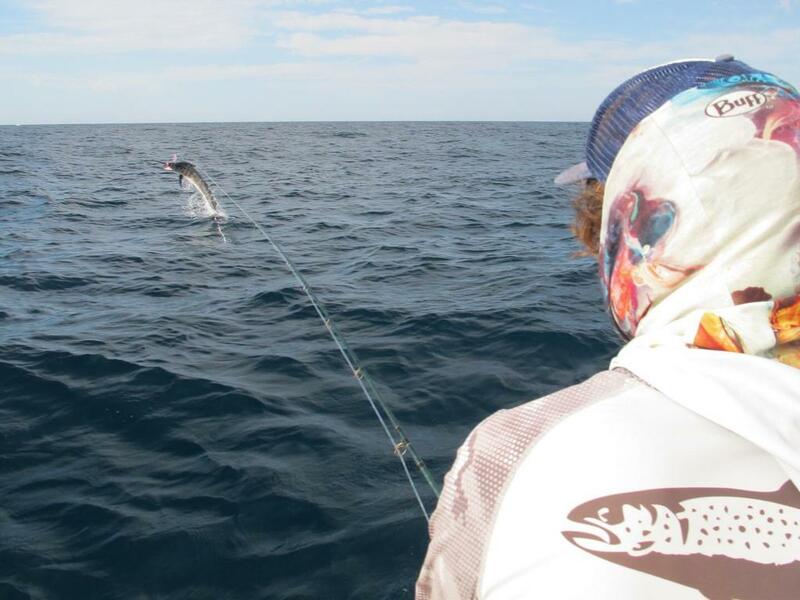 Black Marlin on Fly for Dan! 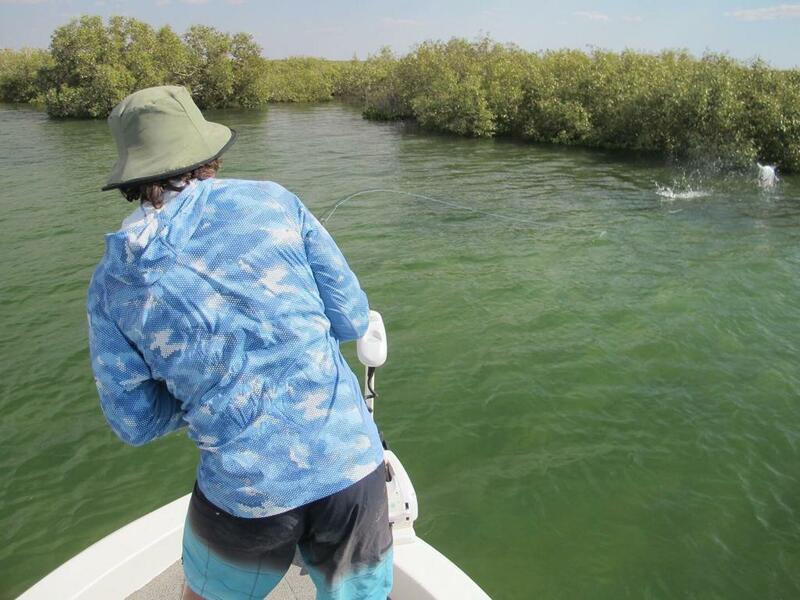 You don't even need to like fishing to enjoy this sort of view.